After the initial stop by a police officer, based on his observations he may request that the Defendant exit the vehicle and perform Field Sobriety Tests or “FST’s”. 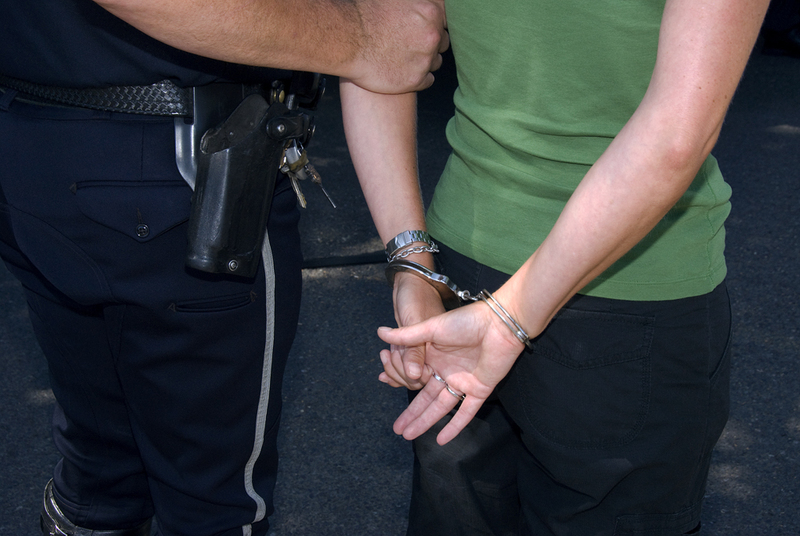 The purpose of the administration of FST’s is to determine if there is probable cause to arrest a suspect for DUI. The One Leg Stand Test in which a suspect must stand with one leg raised at six inches which is also an intended divided attention test – mental task and physical task. Other tests routinely used by law enforcement are modified position of attention tests which include touching your finger-to-nose, reciting the alphabet often starting at a random letter and ending at a random letter. Contrary to popular belief, these tests are not legally required; you may decline to take them. If you do take them, an experienced DUI lawyer can demonstrate for a jury that these field sobriety tests are "designed for failure." Recently, during a jury trial I had a police officer admit on the stand that of the suspects that take FST’s 95% fail the test, and an even greater percentage are arrested for DUI. I was able to demonstrate, that if my client took the FST’s, there was a 95% probability that he would be arrested for DUI. Simply, chances are that if a suspect is stopped and requested to perform FST’s, there is a strong probability that he will be arrested for DUI. The federal government's National Highway Traffic Safety Administration has funded research which found that only three tests: the Nystagmus Gaze test, the Walk and Turn test and the One Leg Stand test - are effective in detecting intoxication. According to these studies, all other field sobriety tests are unreliable and should not be used. Since the federal findings and recommendations, police agencies across the country have been adopting the battery of three so-called "standardized field sobriety tests." Generally, an officer will maintain a checklist of the number of cues or behaviors he observes while administering this test. When properly administered, the officer should start with the left eye and then the right eye and when observing a suspect’s eyes for nystagmus, the stimulus should be held at the maximum deviation for 4 seconds. In determining the angle at which a suspect’s eyes began to exhibit nystagmus, an officer should move the stimulus across a suspect’s eyes 4 seconds from a forward gaze to the right. The stimulus or officer’s hand should be held 12 to 15 inches from a suspect’s eyes. The stimulus should be moved smoothly all the way out to the right (checking left eye first), then move smoothly all the way across the suspect’s face to the left side (checking the suspect’s right eye) then back to the center. The purpose of this test is a divided attention test – both a mental task and a physical task. The officer requests that the suspect assumes the heel to toe stance, arms down at sides, and instructs him not to start unless told to do so. The suspect is then asked to place the left foot on a line with the right foot directly in front of the left, heel-to-toe, with arms at sides, and remain in that position while the test instructions are given. The suspect is then asked to take nine heal-to-toe steps forward, counting each step aloud. Then the suspect must turn around in the prescribed manner and take nine heel-to-toe steps back, again counting each step aloud. The officer must also instruct the suspect to watch his feet at all times, keep arms at sides, do not stop walking until test is complete. After taking nine steps, the suspect is requested to pivot left and take nine steps again. Does suspect move feet to maintain balance while listening to instructions? Does suspect start before instructions are completed? Does suspect stop while walking to steady? Does suspect step off the line while walking? Does suspect raise arms above six inches from side for balance while walking? Does suspect turn incorrectly or lose balance while walking? Does suspect take the incorrect number of steps? Does suspect raise their arms over six inches for balance? Does suspect put a foot down? Count out loud in following manner: one thousand one, one thousand two, one thousand three, until told to stop, usually for thirty seconds. Many Ohio police departments including the State Highway Patrol are increasingly using a small, handheld breath tester called a "Portable Breathalyzer Test" device (commonly referred to as "PBT"). This device is used as an additional field sobriety test to assist the officer in deciding whether there is probable cause to arrest for DUI. The results of a PBT are not admissible at trial, because the accuracy may be challenged, but is used as another indicia of whether the suspect is impaired or under the influence. See State v. Schuler (4th Dist., July 27, 2006), 168 Ohio App. 3d 183, 2006-Ohio-4336 “PBT results are considered inherently unreliable because they may register an inaccurate percentage of alcohol present in the breath, and may also be inaccurate as to the presence or absence of any alcohol at all.” It should be realized that, as with any field sobriety tests, submitting to a field PBT is not legally required. Having said that, if a suspect refuses to perform FST’s, he generally will be arrested and the officer’s personal observations will become crucial in determining his guilt. Other field sobriety tests may be admissible in a DUI prosecution “if it is shown by clear and convincing evidence that the officer administered the test in substantial compliance with the testing standards for any reliable, credible, and generally accepted field sobriety tests that were in effect at the time the tests were administered, including, but not limited to, any testing standards then in effect that were set by the national highway safety administration[.] R.C. 11.19(D)(4)(b). See City of Cleveland v. Hunter (8th Dist., March 19, 2009), 2009 WL 712498, 2009-Ohio-1239 – Trial court did not err in suppressing results of the field sobriety tests because officer used field sobriety testing standards that he learned through his Alcohol Detention Apprehension and Prosecution (ADAP) training; yet, the City not introduce any evidence as to what the ADAP standards were and whether they were accepted standards, as required by R.C. 4511.19(D)(4)(b). Some law enforcement personnel are not properly trained in the administration of standardized FST’s, and an experienced DUI attorney should be able to exploit this deficiency and potentially have the tests excluded from trial on this basis. 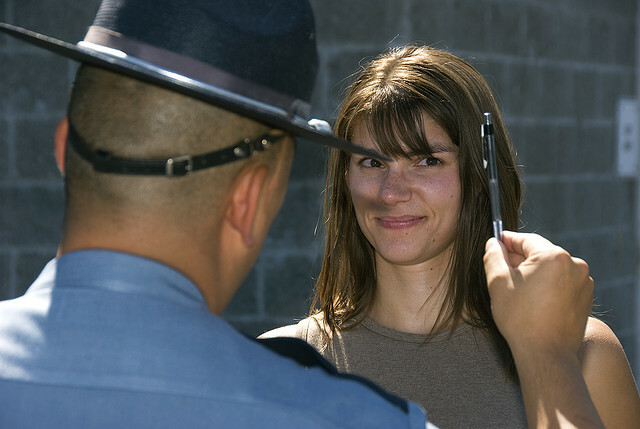 FST’s are just another set of indicia for the officer to assess and determine if a suspect is under the influence in addition to any admissions of consuming alcohol by the suspect and the officer’s personal observations, including, odor, appearance of eyes, demeanor of suspect, balance, etc.